It is an exciting time for the Caltech Department of Mathematics. In 2016, Ronald (MS ’64, PhD ’64) and Maxine Linde endowed The Linde Center for New Initiatives to give Caltech leadership the resources to launch especially promising endeavors. The center’s first priority? Renewing Sloan Laboratory. 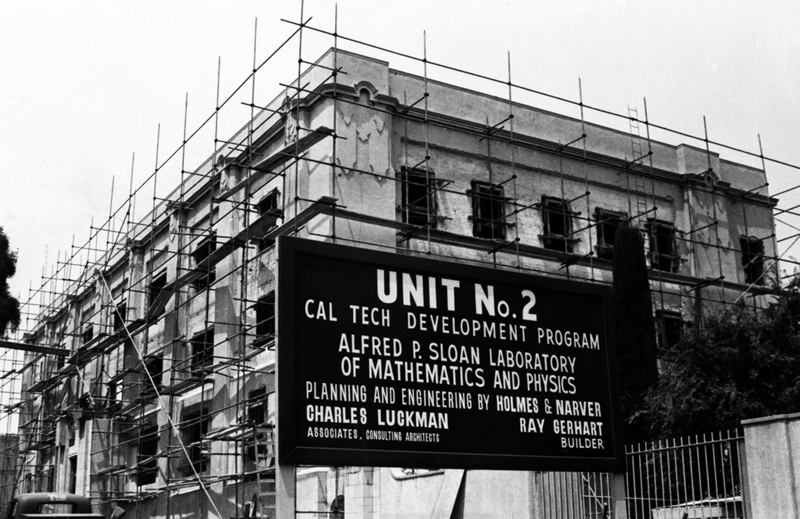 The math department found its first campus home in this historic structure back in 1960, and Sloan had remained physically unchanged ever since. To recognize the Lindes for their leadership contribution to galvanize the renovation, the modernized building is now known as Ronald and Maxine Linde Hall of Mathematics and Physics. 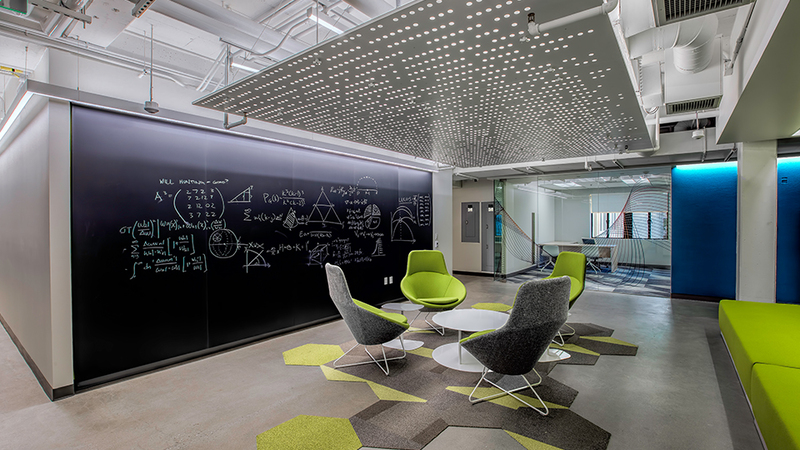 Linde Hall is designed with the needs of mathematicians in mind. New construction has created spaces where students and faculty can continue their discussions following classes or lectures or just pause to solve problems together—always with a blackboard nearby. 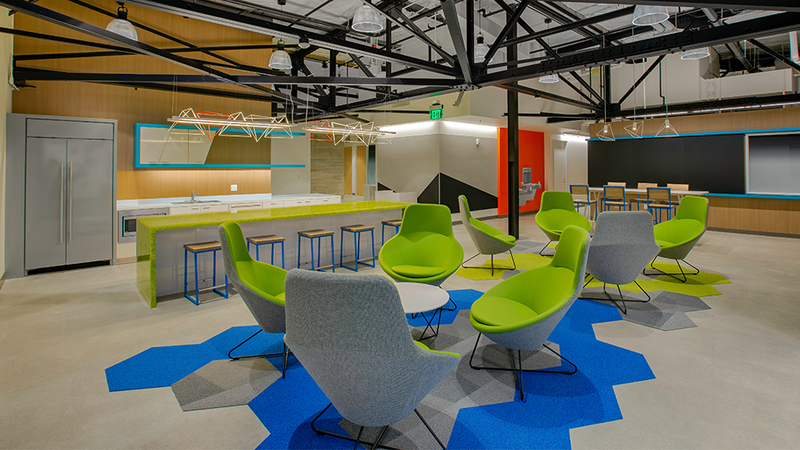 This collaborative atmosphere starts the moment people enter the building and continues from top to bottom, with open spaces and lounges to foster interaction on every floor. Scholarship in mathematics requires finding the right balance between teamwork and quiet concentration. The renewed facility has been configured to ensure that spaces for conversation do not compete with spaces for individual study. Whether students and faculty want to consult with each other or find a private spot to work, Linde Hall offers the perfect location—all with an open feel and lots of natural light. Flexible classrooms are interspersed throughout Linde Hall. Together with the new lecture hall, this makes it possible for most undergraduate mathematics courses to be taught in the same facility—benefiting all Caltech undergraduates, math majors and non-majors alike. 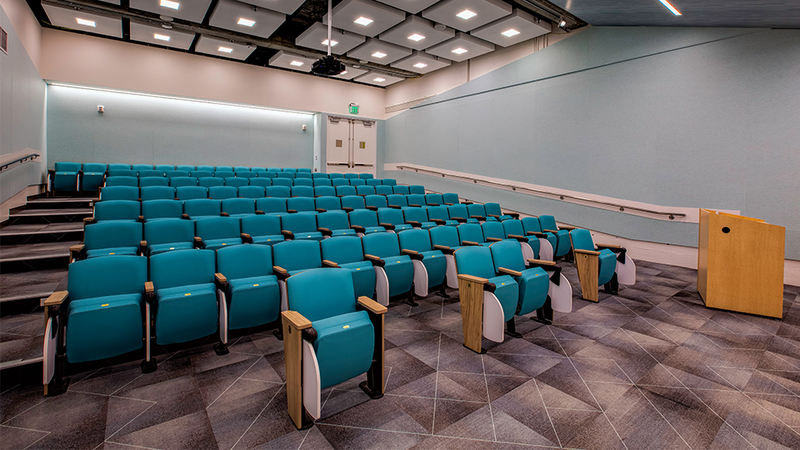 The renovation encompasses a new lecture hall on the third floor of Kellogg Radiation Laboratory, which is connected to Linde Hall. 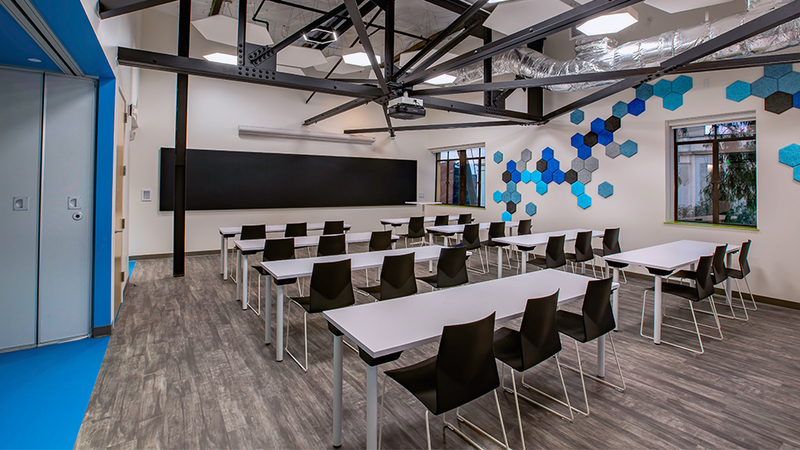 Used for departmental seminars, public lectures, and core undergraduate mathematics classes such as Math 1 and Math 108, this space benefits scholars across Caltech. The hall opens into a spacious foyer, an ideal location for receptions and special events as well as post-lecture discussion, group study, or individual contemplation. Linde Hall provides an enhanced environment for mathematics teaching and investigation. Informed by input from students as well as faculty, improvements include upgraded offices for graduate students and postdoctoral and visiting scholars, a large lecture hall, adaptable classrooms, and spaces for the collaboration and conversation that are key to mathematics research. Now, Caltech seeks to partner with alumni and friends who would like to link their names with this exciting new facility and with mathematics at Caltech. A gift to name a space in Linde Hall is a gift to support Caltech mathematicians far into the future. This renovation will bring new life and energy to the department. Caltech’s Department of Mathematics is one of the smallest top-ranked math departments in the country, but it is broad in terms of ambition and impact. Its scholars have garnered high honors for pushing the frontiers of mathematical physics, analysis, number theory, combinatorics, and group theory. They have mentored generations of students. And they have written texts that are considered foundational to the field. Tom Apostol arrived at Caltech in 1950 and for more than half a century epitomized great math teaching at the Institute. His two-volume book on calculus, first published in 1960, influenced generations of mathematicians. His textbooks on mathematical analysis and analytic number theory have been widely translated. He also created a prize-winning animated video series exploring topics in high school math. In 2010, Caltech established the Apostol Award for Excellence in Teaching in Mathematics to recognize graduate and undergraduate teachers. 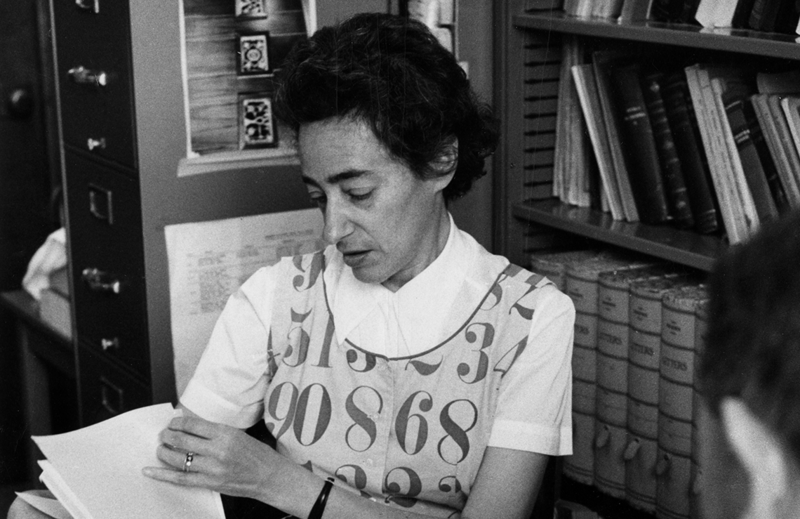 Matrix and number theorist Olga Taussky-Todd arrived at Caltech in 1956 with her husband, John Todd, a pioneer of numerical analysis. She was the first woman at the Institute to receive a formal teaching appointment and, in 1971, a full professorship. She mentored generations of students and advised Caltech’s first female math PhD. The Olga Taussky-John Todd Instructorship in Mathematics and Taussky-Todd-Lonergan Professorship commemorate her contributions. Also, in 2018, an alumna established the Olga Taussky-Todd Prize, supporting educational enrichment for outstanding undergraduate math majors. 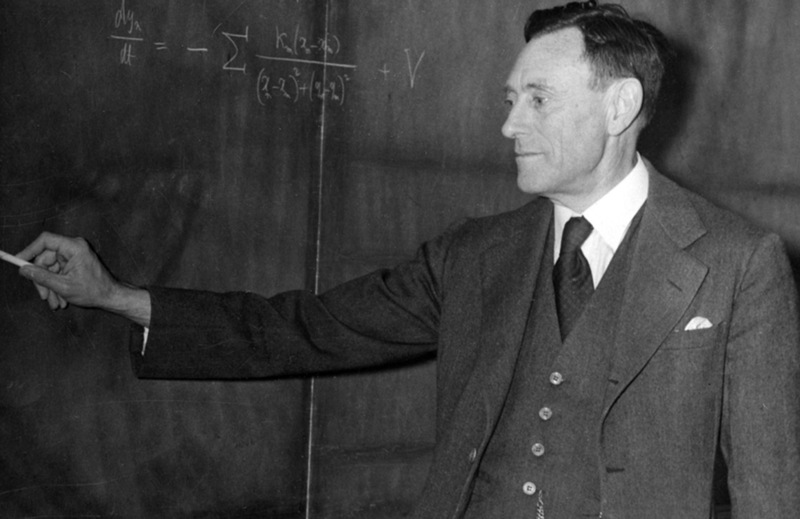 Number theorist Eric Temple Bell was already a prominent mathematician before joining Caltech, where he taught from 1926 to 1953. In addition to writing numerous research publications and popular works such as Men of Mathematics, he gained acclaim for science fiction, published under the pseudonym John Taine. In combinatorial mathematics, the Bell polynomials and Bell numbers bear his name. 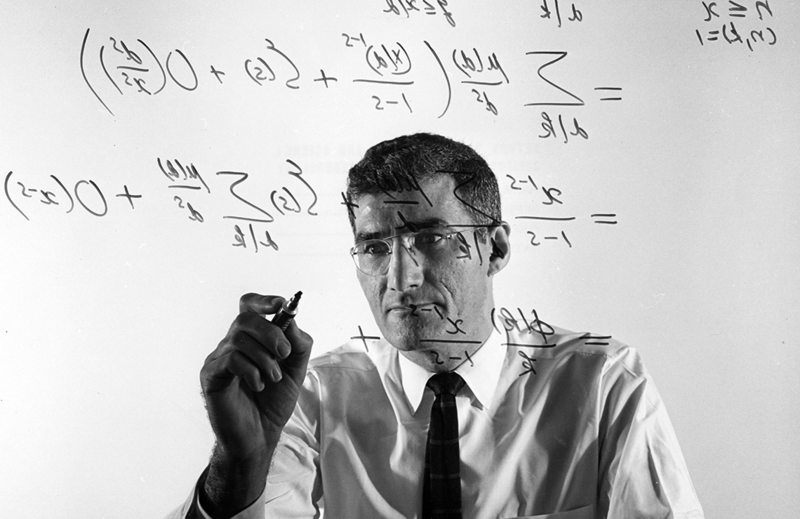 Caltech’s Eric Temple Bell Undergraduate Mathematics Research Prize, established in 1963, recognizes juniors and seniors for outstanding original research. Accomplished mathematical physicist Harry Bateman joined Caltech in 1917, when it was still known as Throop College. He was one of Caltech’s first faculty in aeronautics, teaching and conducting research in hydrodynamics, elasticity, and mathematical methods. His many papers included two significant articles on the history of applied mathematics. After his sudden death in 1946, the Bateman Manuscript Project edited his shoeboxes full of notes into a comprehensive reference on special functions. 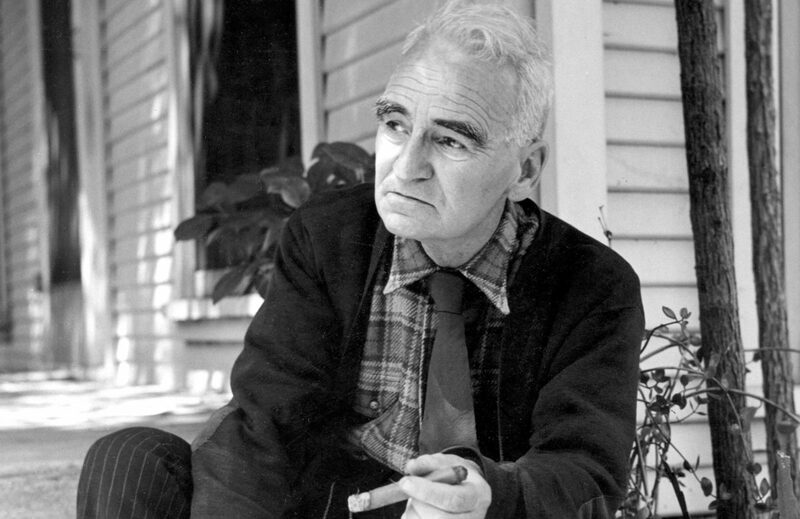 Caltech’s Harry Bateman Instructorships were created in his honor in 1947. 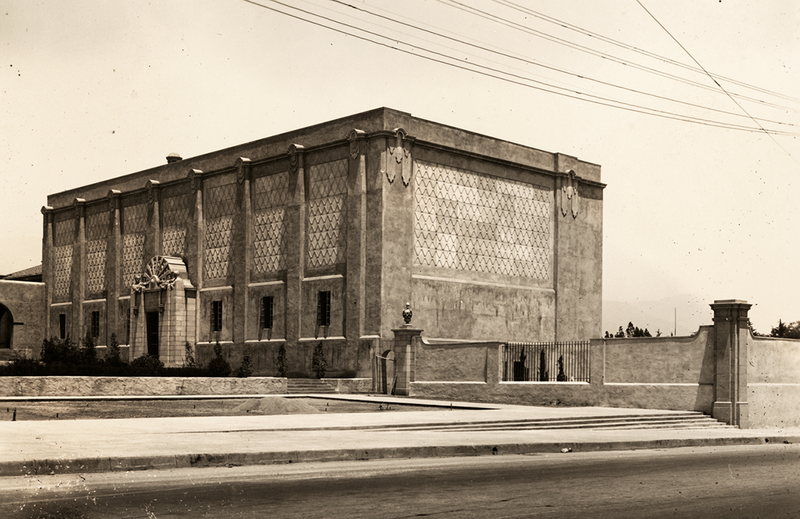 Caltech’s High-Voltage Research Laboratory was erected in 1923 using funds provided by the Southern California Edison Company. After more than 35 years of service, the facility was retired in 1959, and the Alfred P. Sloan Foundation provided support to reconstruct it. 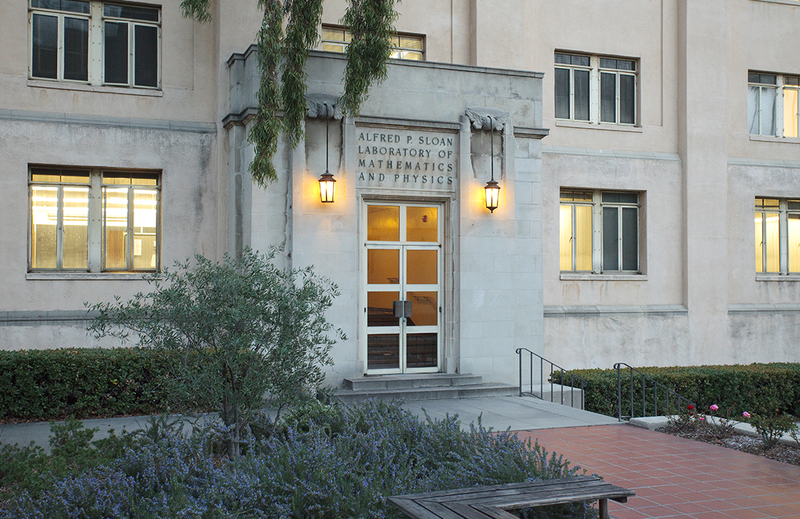 The former High-Voltage Research Laboratory was completely rebuilt in 1959 and reopened as Caltech’s Alfred P. Sloan Laboratory of Mathematics and Physics the following year. The three upper floors of the new building were dedicated to the Department of Mathematics, providing classrooms, seminar rooms, a lecture hall, a reference library, a lounge for informal gatherings, offices for faculty and graduate students—and windows. From 1960 to 2017, the Alfred P. Sloan Laboratory of Mathematics and Physics housed a department whose scholars push the boundaries of the human mind to solve some of the most complicated problems, and strive to spark and cultivate a love of mathematics in their students. 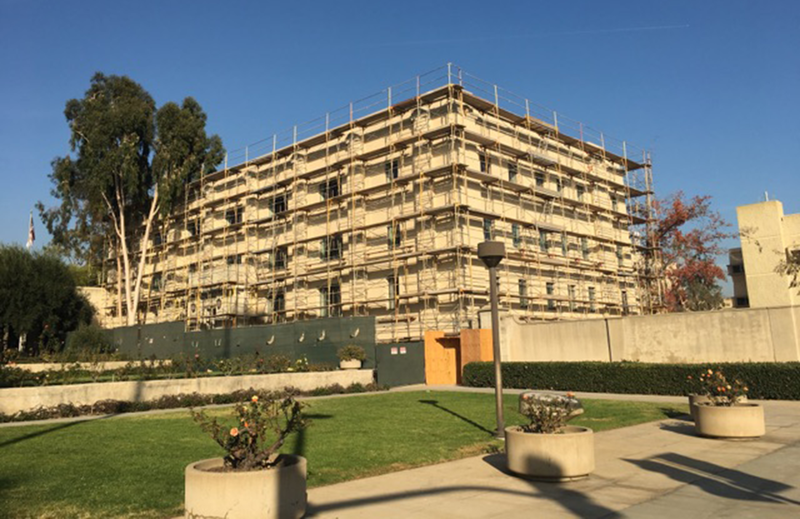 As construction fences went up around Sloan Lab, Fiona Harrison, Caltech’s Benjamin M. Rosen Professor of Physics and holder of the Kent and Joyce Kresa Leadership Chair, took one last look inside the building for old time’s sake. 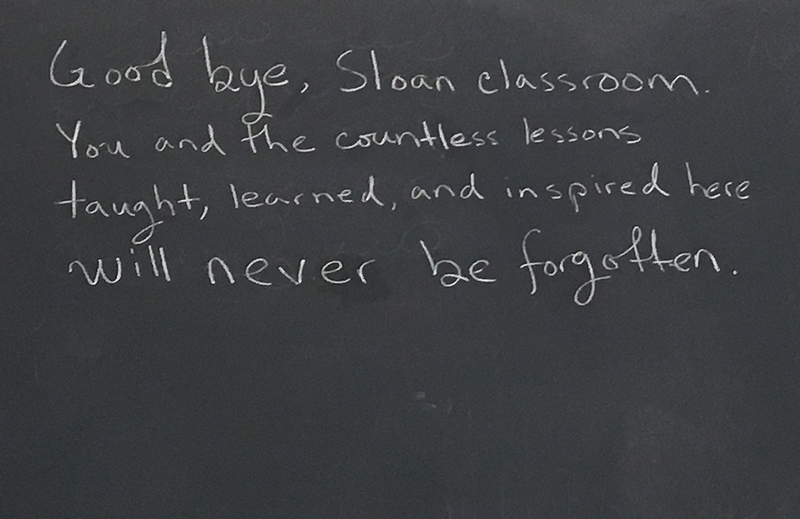 On a blackboard in the main first-floor classroom, someone had written the message above. Before long, new generations of students would be taught, would learn, and would find inspiration in the bright, modern classrooms of Linde Hall. The Caltech community kicked off Sloan Lab’s transformation into Linde Hall with a wall-breaking ceremony in July 2017. Ronald (MS ’62, PhD ’64) and Maxine Linde, whose leadership gift jump-started the renovation, struck the first hammer blows—but only after solving a puzzle based on a William Lowell Putnam Mathematical Competition. Although Professor Elena Mantovan, executive officer for mathematics, was on hand to help, the Lindes arrived at the correct answer—4—on their own. The renovation spans 27,700 square feet, encompassing everything from new windows and utility upgrades to entirely reimagined spaces. The top three floors of Sloan Lab have been transformed. In addition, a new third floor—constructed in the former high-bay space of Kellogg Radiation Laboratory—connects to Linde Hall and houses a splendid new auditorium. Ronald and Maxine Linde Hall of Mathematics and Physics opened in fall 2018. Caltech’s Department of Mathematics is consistently ranked among the top programs of its kind in the United States. Working together and with colleagues across fields—from theoretical physics to biology—math researchers at Caltech are untangling some of the most challenging problems in the world. The small size of the department ensures the flexibility scholars need to tackle these questions. At the same time, the Institute relies upon its mathematicians to help impart the quantitative skills for which all Caltech graduates are known. To advance its high standards, the department deserves a home that matches its excellence. The refurbished building is as cutting-edge as the scholarship, as inspiring as the instruction, as collaborative as the culture. Linde Hall is infusing mathematics at Caltech with new energy. It is giving a competitive edge in bringing the best minds to campus—ensuring that the department can continue to attract and retain the most talented and creative faculty, researchers, and students at all levels. With spaces carefully calibrated to promote robust teamwork as well as intense focus, the remodeled building is encouraging innovation in teaching and accelerating research that promises to yield elegant insights. The new space will help us recruit and retain star mathematics faculty. It will give our graduate students comfortable spaces in which to interact and work. And it will be appreciated by every single Caltech undergraduate. You can help secure the future of mathematics at Caltech. Your gift to name a classroom, interaction area, or office in Linde Hall is a prominent and powerful investment in Caltech mathematicians whose foundational understanding of structures, patterns, and processes advances human knowledge across countless fields. Further, because the auditorium (see photo above) hosts math classes required for almost every undergraduate major at Caltech, your contribution to name this space will transform the educational experience for students across all subject areas. Naming opportunities begin at $50,000. When you give to name a space in Linde Hall, you link your name (or the name of someone you wish to honor) with the accomplishments of generations of faculty, researchers, and students who are changing the world.